With travels that dragged on for weeks and access to various herbs and spices, sailors became creative with their Snus. They tinkered and experimented to find a way to create their own custom type of Snus. But soon, one blend would become hugely popular: Adding juniper berries and lavender to Snus became a hit among sailors. Not long after the blend became popular with sailors, the trend spread to mainland Sweden. Everyday citizens tried the blend they would later come to know as Göteborgs Rapé. The fresh, smooth taste brought the exotic feeling of being at sea to anyone who wanted it. Then, in 1915, the Swedish government took control of all Snus production to fund the country’s defence and pension reform. To maximize revenue and funds, the government produced only the most popular Snus blends. 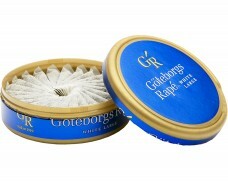 Among them: Göteborgs Rapé – smooth tobacco flavor with notes of lavender and juniper berries. After the war was over, Göteborgs Rapé became a registered brand in 1919. The name stems from the close connection to Sweden’s coastal city Göteborg and the heritage of the sailors. Rapé describes the original production method. The word is French for „grated“, which is how the tobacco leaves were first reduced to an appropriate portion size. 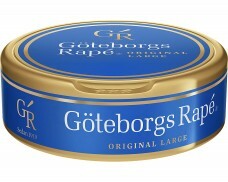 Today, Göteborgs Rapé Snus is made from ground tobacco. 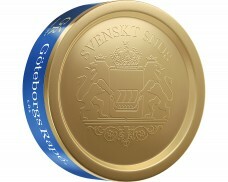 The characteristic blue and gold can has become a symbol of quality to many Swedes. 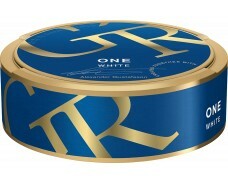 Decades ago, the blue can symbolized that a Snus came from Göteborg. Mainland Swedes took this as a show of quality and freshness, as Göteborg was known for trade and often the first place exotic goods arrived. 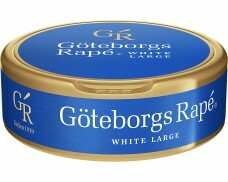 In the 1990s, Göteborgs Rapé was the first White Portion Snus in the history of Snus. Still today, the Swedish classic is known for a flowery, smooth Snus with clear notes of lavender and juniper berry and a slight touch of wood and citrus. 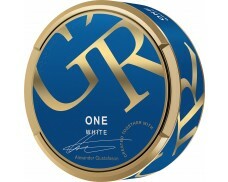 Recently, a new creation of Göteborgs Rapé has been launched in collaboration with Swedish Match and Alexander Gustafsson, a passionate Snus user and professional mixed martial artist: Göteborgs Rapé One White. The latest manufacturing techniques were used for this product innovation. The characteristic GR flavor stays the same, but the pouches are softer, stronger and feel fuller under the lip. For sure, everyone gets carried away when trying this Snus.